One of the key health advises is to reduce stress levels and learn how to relax. Easier said then done, right? The world we live in is constantly bombarding us with news (mostly focusing on the bad ones), we have multiple distractions (social media, adverts, internet, TV), our food is less and less nutritional, plastic is everywhere and killing the animals, forests are dying…AARRGGHHH!!! No wonder that often we feel overwhelmed and anxious. If you go to your GP it is quite likely that you will be prescribed certain drugs to numb you down (such as benzodiazepines e.g. lorazepam or sedating antihistamines like hyroxyzine). If your problem persists you might be (mis)diagnosed with mild depression and given some antidepressants. Let me tell you–there is a natural and safe way to help with fear and anxiety, without the need for strong medications! I probably repeat myself saying: start with tasty, nutritious food, regular exercise and good night sleep ;D This is the only way to support your nervous system in a long term. It is an amino-acid found in black and green tea. It has been identified by Japanese scientists in 1949. Research has found that a cup of tea (approximately 200 ml) contains 25-60 mg of this compound. Theanine has anxiolytic and cognitive enhancing properties and can also lover the blood pressure. It creates the sense of relaxation in about 30-40 minutes. L-theanine directly influences the stimulation of alpha waves, inducing calm mood – similar to the meditation (deep relaxation and mental clarity). It has the potential to stimulate the production of GABA–a neurotransmitter that calms the brain and boosts the mood. L-theanine can also increase levels of other “happy” chemicals such as serotonin and dopamine. One of the best properties of L-theanine is the potential to unwind you without making you sleepy and “brain-fogged.” On the other hand it might actually improve your sleep by lowering anxiety and boosting relaxation. If you wake up in the morning knowing that it is going to be a very demanding day (e.g. meetings, presentations, school run, traffic etc.) start with a cup of green tea and chose it over coffee during the course of the day (caffeine increases agitation and anxiety). If you want a quick fix – try one of the following supplements. (Take one 200 mg tablet 30 minutes before or straight after a stressful event). You have probably already heard that magnesium is vital for our nervous system. It has even been proven that magnesium deficiency can actually induce anxiety and fear. In the brain, magnesium work similarly to L-theanine by acting on GABA. It has the ability to bind to it and stimulate its action. It can also block NMDA receptor–which binds calcium and glutamate (both acting excitatory on our brain – which, in excess, can cause agitation, fear and anxiety). Dr. Carolyn Dean explains that during stress our body enters into the cascade of physical effects which heavily use magnesium stores. The most common one is tightening of the muscles – the first sign of magnesium depletion (if you want to learn more – see Dr Dean’s book The Magnesium Miracle). 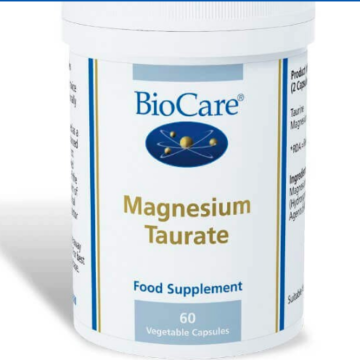 Magnesium taurate provides magnesium and amino-acid L-taurine. L-taurine is found in large amounts in the brain and is necessary for mental performance. It can also help to reduce blood pressure (which is quite helpful as it tends to rise in stressful situations, when you are under pressure or fearful). This is my favorite supplement. Valerian is a great plant to have in your garden as it promotes the earthworm activity and increases phosphorus levels in the ground. The way of action is similar to the one of L-theanine and margensium taurate–the increase of GABA levels in the brain. Researches believe that it can also inhibit excessive activity of amygdala (the part of the brain that processes strong emotions, including fear). 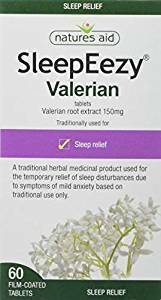 Valerian root extract is also useful for insomnia. This is why I recommend this herb for people suffering from both anxiety and sleep problems. Please be careful when supplementing and driving as it might reduce your concentration. Dosage varies from 120 mg to 200 mg three times a day (last dose right before bedtime). I found following capsules effective and good quality. Wow thanks for sharing this! I am always terribly caught up in my nerves. I’m definitely going to have to research these a bit more to see what might work for me!